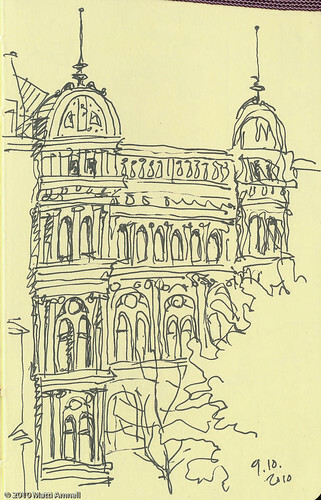 Sketchbook Stockholm 2010-10-07, originally uploaded by Brin d’Acier. 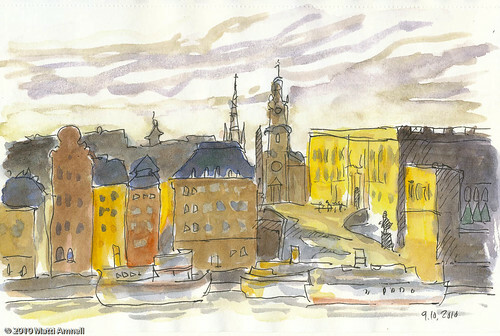 The view from our hotel window, on Sturegatan. Beautiful sunset on the old town, seen from the courtyard of the East Asian Museum. 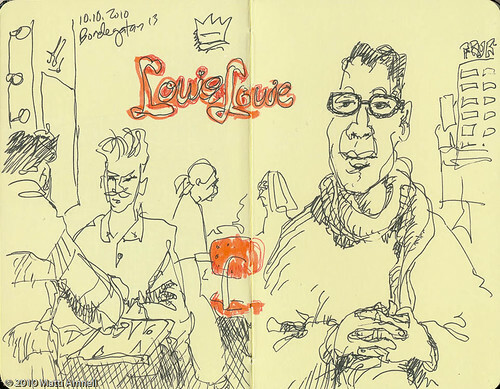 We stopped at this hip café while walking around in Södermalm, a young and artistic neighbourhood. 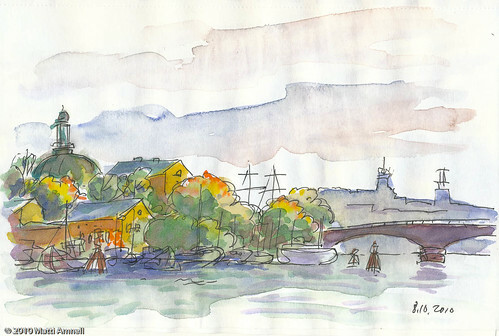 This entry was posted in Sketch of the day, Sketchbook, travel journal and tagged architecture, city, ink, landscape, stockholm, sweden, watercolour. Bookmark the permalink.